There are many ways in which technology can be deployed to enhance indoor air quality (IAQ), including ventilation system upgrades, humidity controls, air filtering, or recently ﻿smart home automation﻿﻿﻿. So, why improve air quality with… just plants? As NASA found out in their space stations, the use of indoor plants offers some exclusive benefits that are not available with other IAQ measures. Plants can absorb pollutants while providing oxygen. Ventilation systems can imitate this effect by providing a constant supply of fresh air and exhausting indoor air, but strictly speaking the air in the building is not purified. Only plants are capable of restoring the air already inside a building to the state in which it is found in nature. After a plant is purchased, its cost of ownership is nearly zero. Plants only require soil, water, sunlight and cleaning. Man-made air filters consume energy and have a running cost, in addition to requiring frequent cleaning. In addition, air filters that have become clogged with dust may require removal by a qualified person – they may release a large amount of dust and pollutants if not handled properly. Indoor environments with air conditioning have existed for a relatively short period of human history. Our ancestors lived outdoors among plants for hundreds of millennia before the first civilizations, so it makes sense to bring plants and outdoor air into modern buildings. Modern trends in energy-efficient building design have an unfortunate side effect: buildings are becoming air-tight and isolated from the outdoor environment. While this reduces the load on heating and cooling equipment, providing energy savings, it also traps air and IAQ is negatively affected unless mechanical ventilation and indoor plants are used. Sick Building Syndrome (SBS), a phenomenon where the health of occupants deteriorates based on how much time they spend in a building, has been caused in great part by the combination of air-tightness and poor ventilation. Also consider that many modern building materials release pollutants, adding another factor that is detrimental for IAQ. 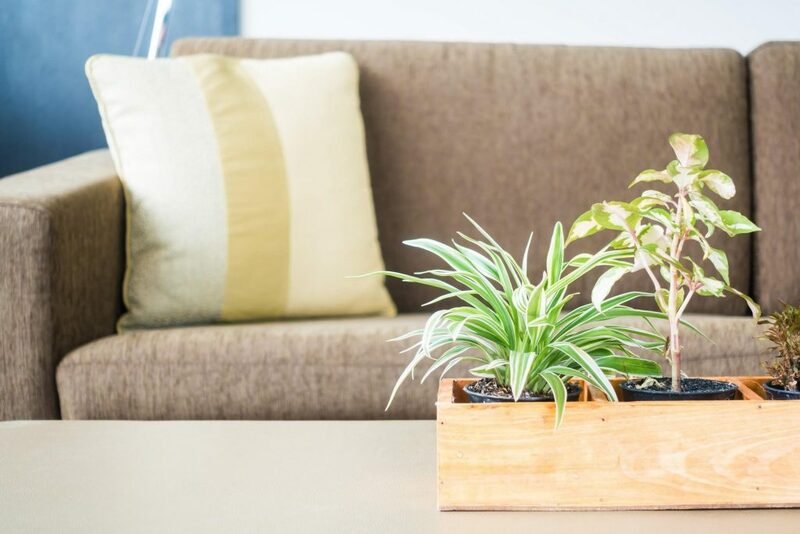 Although mechanical ventilation and air filters can provide satisfactory levels of IAQ by themselves, plants can take over a significant portion of the job for free, while making indoor environments more appealing and improving the mood of occupants. Some pollutants are metabolized into harmless or even beneficial substances. According to the Canadian Journal of Botany, plants can absorb carbon monoxide (CO) from the air in urban settings. First they convert it to carbon dioxide (CO2) through oxidation, and then they use CO2 for photosynthesis, producing oxygen. Plants can also metabolize benzene (C6H6), decomposing it into carbon dioxide and water. 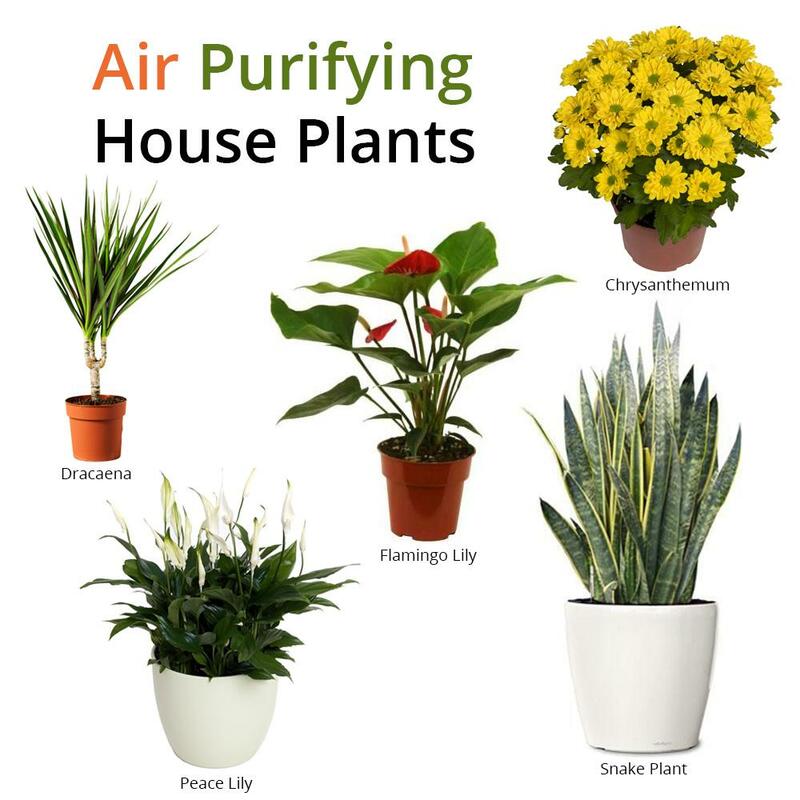 Other plants also capture harmful compounds and integrate them as part of their tissues, removing them from indoor air. An example of this is ammonia (NH3): it is harmful for humans, but can be processed into amino acids by plants. The bacteria that live in the soil around the roots of plants are mostly harmless for humans, and are also capable of metabolizing and decomposing harmful substances. In other words, each plant constitutes a small-scale ecosystem that improves indoor conditions for humans. 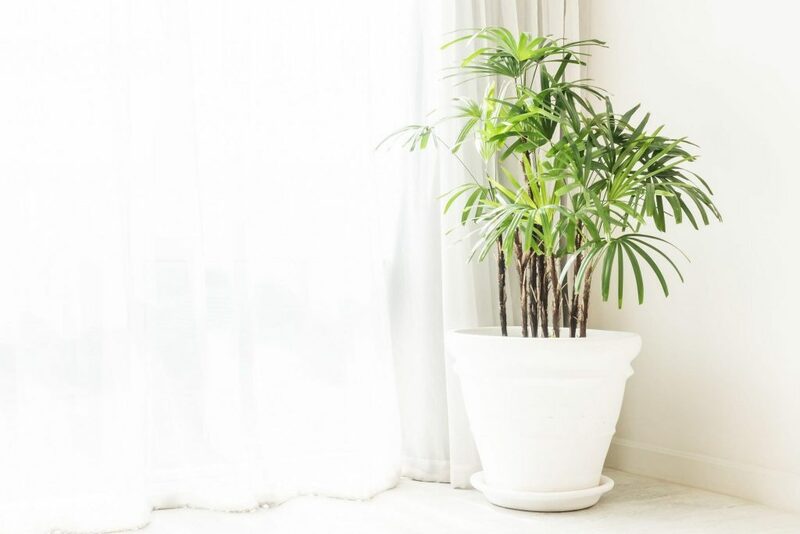 The basic principle of improving IAQ with plants is very simple: if the goal is to replicate nature in built environments, the smartest move is to bring plants indoors, since they are the planet’s natural air conditioning system. NASA has carried out extensive research here and here on the potential of plants to improve indoor air quality. In outer space, where there is no outdoor air, the only viable way to preserve IAQ over long periods of time is to remove pollutants while replenishing the oxygen content – no technology developed so far is capable of matching plants in that role. Bill Wolverton is a retired NASA scientist who studied the applications of plants in air and water purification, and he made an interesting discovery: plants become much better air filters when air circulation to their roots is improved. As previously stated, the bacteria living in the soil around plant roots are generally harmless for humans and can contribute to air purification. Bill Wolverton’s main conclusion has been that mankind must bring nature into isolated environments in order to provide healthy living conditions. 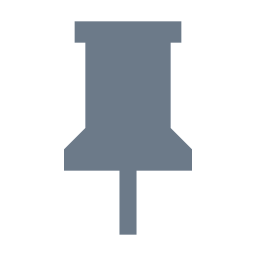 Air-tight buildings are a great example of an environment that is isolated from nature, and the interior of space stations represents a more drastic case where outdoor air is not available. Plants have a remarkable ability to metabolize harmful substances. For instance, NASA has discovered that some swamp plants are capable of metabolizing Agent Orange, a potent herbicide. This substance is only found in controlled laboratory environments, so cleaning it with plants has no applications in homes and commercial buildings; however, it is a great example of how plants can be used to eliminate toxic substances. In general, NASA recommends one indoor plant for every 100 square feet of space. In 2008, the Indian government also published an very interesting study on how plants improve IAQ, focusing on the Areca Palm, the Mother-in-Law’s Tongue and the Money Plant. From left to right: Areca Palm, Mother-in-Law’s Tongue and Money Plant. Respiratory ailments were decreased by 34%. In particular, lung impairments were reduced by 12% and asthma by 9%. Eye irritation was reduced by 52%. Headaches were reduced by 24%. Most surprising of all was the fact that indoor plants improved other aspects beyond IAQ. The building became less reliant on the HVAC system to treat the air, achieving 15% energy savings. In addition, an average productivity increase of 20% was achieved. From the business standpoint, it can be concluded that indoor plants are a lucrative investment! Trichloroethylene (C2HCl3): This chemical induces a mood boost in very small amounts, but can also lead to severe health consequences. C2HCl3 has been associated with nausea, headaches and vomiting, and large enough concentrations can cause loss of consciousness and coma. Formaldehyde (CH2O): The human response to this chemical ranges from mild ailments like nose and mouth irritation, to severe reactions such as lung and larynx swelling. Benzene (C6H6): Small-scale exposure causes eye irritation, headaches, confusion and accelerated heartbeat. Like trichloroethylene, it can cause a loss of consciousness in high enough concentrations. Xylene (C8H10): Reactions to small-scale exposure include mouth irritation and headache, while long-term exposure can lead to heart, liver and kidney problems. Exposure to a large amount of xylene in a short time induces coma. Ammonia (NH3): This chemical can cause eye and throat irritation, and induces coughing. Some occupants may be allergic to specific plants. Before making widespread use of indoor plants, conduct a survey of allergies experienced by occupants. If any of the building occupants suffer from allergic rhinitis, also known as hay fever, be careful to select plants that do not trigger it. Plants tend to increase indoor humidity: This is great in dry environments, since air humidification expenses are reduced. However, they may exacerbate moisture and mold issues in buildings that are already experiencing them. Some plants are toxic if ingested. This is not an issue for adults, who understand the consequences of eating these plants, but their use is not recommended if located within the reach of children or pets. Avoid flowering plants: they release pollen, which causes allergic reactions in some people. Ragweed is notorious for triggering allergic reactions due to the large amounts of pollen it releases. Consider the use of LED grow lights to complement indoor plants. The output of these lights is designed to stimulate photosynthesis and healthy plant growth. Leadership in Energy and Environmental Design (LEED) is a certification framework for buildings that was introduced by the US Green Building Council. When a building applies for LEED certification, it is assessed across several sustainability categories and is awarded a level of certification depending on the total score achieved: Certified, Silver, Gold and Platinum. It is important to note that LEED certifications are available for buildings in any place of the world, even if the certification is awarded by a US-based organization. Biofilter Walls: Basically, a biofilter is a wall filled with hydroponic plants, which is integrated with the ventilation system to improve air quality. Air is forced across the plant-filled wall, enhancing their ability to capture and remove pollutants. Biophilia: If you replicate nature indoors and can prove that occupants respond positively to it, you can accumulate LEED credits. Conducting a survey is a simple way to prove that interior landscaping has been well-received. Health Improvements: If you can provide evidence that plants have helped you reduce absenteeism and illness, you can obtain LEED credits as well. Energy Conservation: Plants can help you reduce ventilation loads and the fan power loss associated with forced-air filtering. The 2008 study carried out by the Indian government provided evidence of this, reducing HVAC loads by 15% with the use of indoor plants. 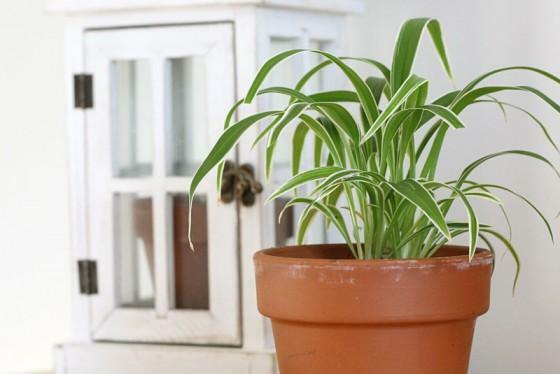 Water Conservation: Indoor plants may boost relative humidity by up to 5 percent. This can help conserve water in conditions where active humidification is required. Although LEED does not give direct credit for the use of plants, they can be deployed creatively to achieve credits in categories related to air quality, design, energy efficiency and occupant health. You can achieve extra credits if the plants are grown locally and if you use recycled materials whenever possible. A building with a LEED certification is guaranteed to provide energy efficiency and healthy indoor conditions. In addition, there is a marketing benefit for companies with LEED-certified buildings: they are viewed as corporate citizens and environmental stewards, making their products and services more attractive for clients who share their values. Indoor plants themselves can also help companies establish a green corporate image. 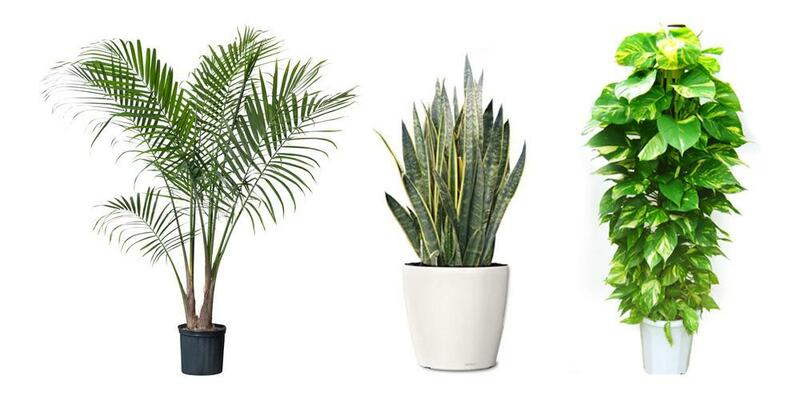 Indoor plants are a very effective measure for improving indoor air quality, and they also provide energy savings and a mood boost for occupants. Thanks to research by NASA, there is solid scientific evidence than plants can remove common harmful substances found in modern building interiors. 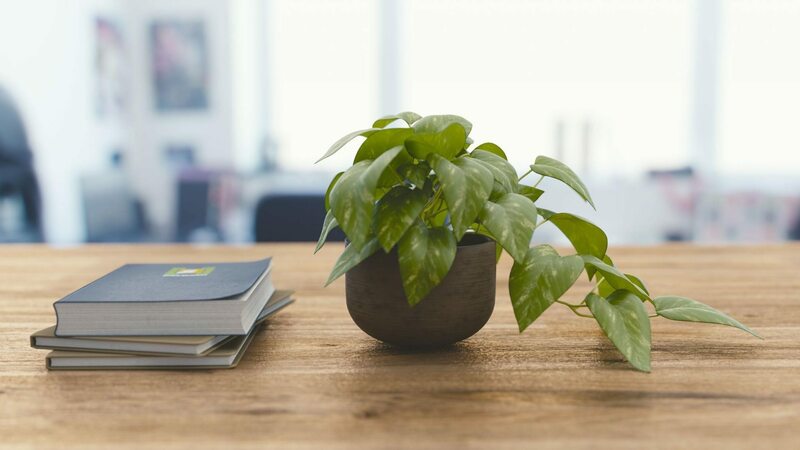 To complete the list of benefits, indoor plants can be a useful tool for building owners seeking a LEED certification, allowing the accumulation of credits across many categories assessed by the US Green Building Council. An interesting addition to this article is… a portable purifier in a backpack using…a plant! The theoretical improvement in the iaq when using plants is measurable with foobat? Sure thing Swapper. But it all depends on where you start from in terms of indoor air pollution and how many plants you add. What I mean is that if your air is clean, you wouldn’t see the difference. Or if you just add one small plant, maybe you won’t see it either. But let say that you already noticed that bleaching the floor creates a VOC spike (which happens very commonly by the way), then if you add 2 or 3 of the plants described above in a room, you’d probably be able to see a less intense spike, and certainly a shorter duration spike.